The first week I joined SocialCops, I was given a “hack week” project to present to the rest of the company. My project was simple and open-ended: “build something cool”. As a newcomer to Delhi, I was concerned by the infamous air pollution continually hovering over the city. 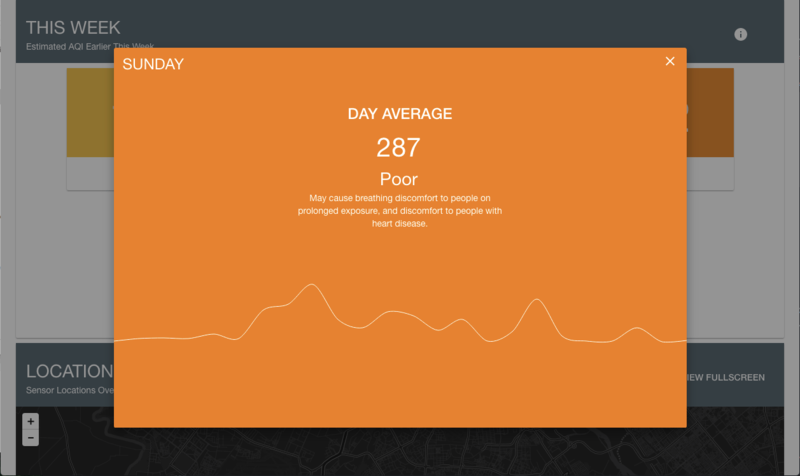 I decided to build two IoT air pollution sensing devices (one for our office balcony and one for inside our office) to determine how protected we were from the pollution while inside. 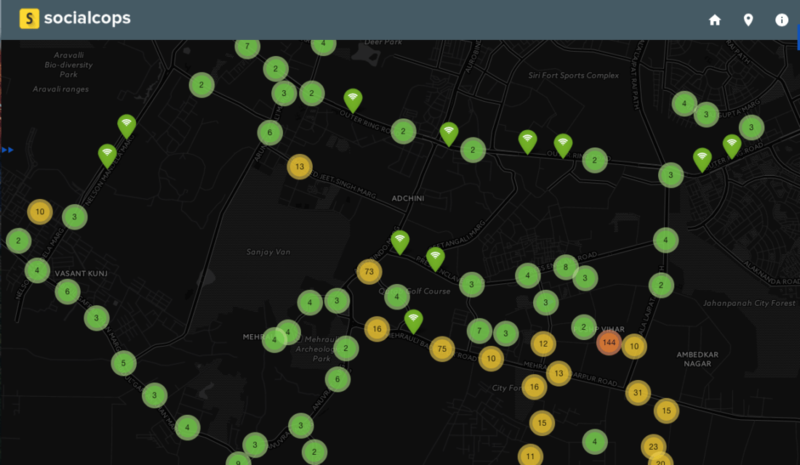 Over the following weeks, this simple internal hack turned into a much more ambitious project — monitoring air pollution throughout Delhi by attaching these IoT devices to auto rickshaws. We chose the hardware for this pilot project based on ease of construction, cost, and hackability. There were a few decisions to confront first: what data to collect, how to collect it, and how to retrieve it for further analysis. We decided to focus on collecting data for particulate matter (PM) concentration since this is the primary pollutant in Delhi. There are other factors that influence air pollution, such as humidity, but we can pull most of this data from established external sources and integrate it with our primary data. For the pollution-sensing module, we decided to use the Shinyei PPD42NS because of its low cost and general dependability and durability. This sensor measures the ambient air opacity using an LED, lens, and photodiode. The attached microcontroller can read this opacity and calculate the number of particles per .01 cubic feet by reading the LPO (Low Pulse Occupancy) outputted by the sensor. To store the data being uploaded by each IoT device, we built a backend and API using Node.js, Express, and MongoDB. Beyond standard server-side security protocols (cryptographically secure login, restrictive firewalls, rate limiting, etc. ), it was also important to build endpoint-based authentication and field verification for incoming device data. 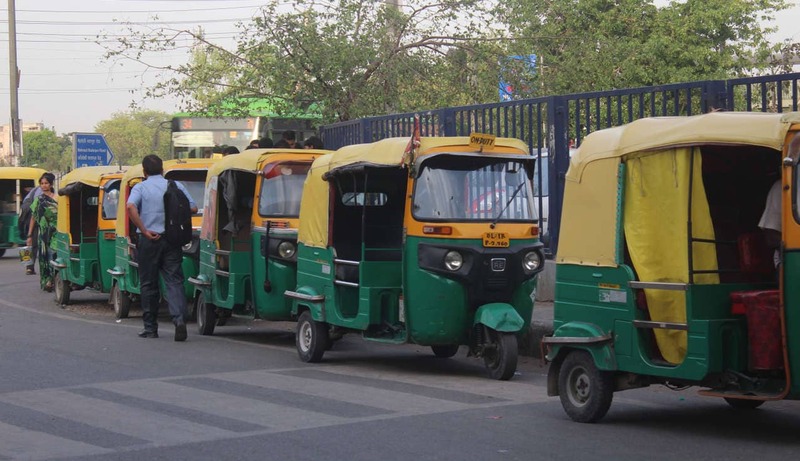 Autorickshaws at the Saket Metro station. A unique cryptographically secure key value is hard coded into the firmware for each IoT device. When a reading is uploaded to the server, this key value is included along with the device ID and authenticated against a corresponding key value on the server for that device. This technique of hard coding a password directly into the firmware provides a high degree of security that ensures our database is not corrupted with unauthorized data. Having discarded the included battery as an option, we began testing the IoT device using low-cost mobile power banks designed for smartphones. These power banks generally come in capacities between 3000 mAh and 15,000 mAh (1-5x an average smartphone battery) and can be purchased for under $20 each. One battery we tested included a solar panel for recharging, but unfortunately, the solar panel wasn’t able to recharge the battery quickly enough. We ended up settling on a reputable 10,000 mAh rechargeable battery, which can run the device for 33 hours straight. 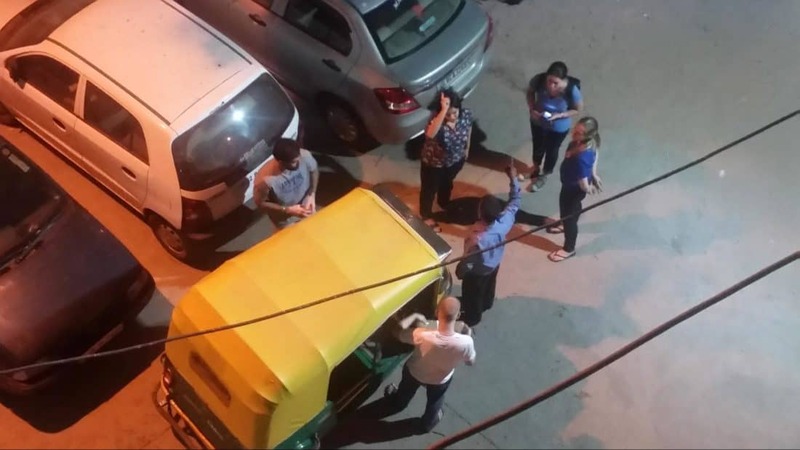 Delhi is not a forgiving environment for hardware devices, especially when they are mounted in auto rickshaws in the height of summer when the temperatures regularly top 40℃ (104℉) or 45℃ (113℉) during heat waves. During our initial prototyping phase, the devices were encased within cardboard boxes, which made it very easy to quickly adjust the component placement and encasing structure (wire hole locations, etc). 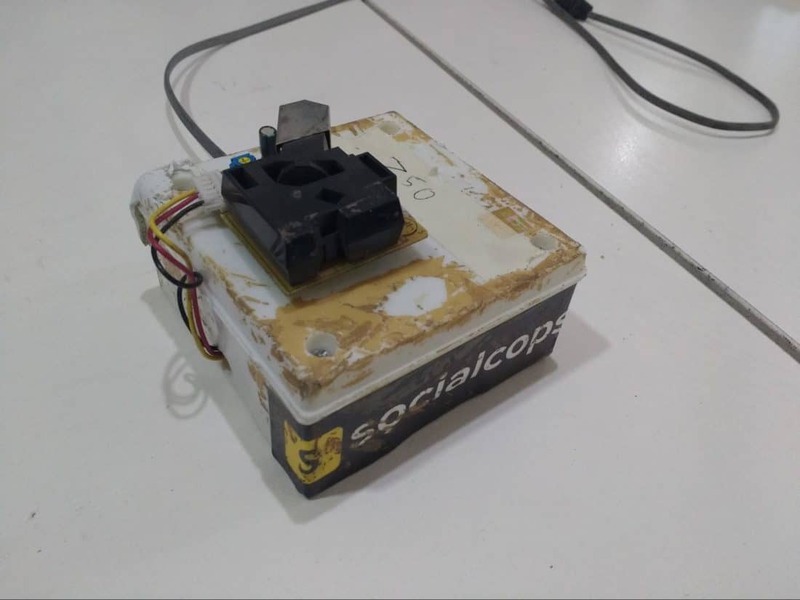 The SocialCops team preparing the first device for deployment. New technological capabilities enabled by the Internet of Things have the potential to transform how we assess and alleviate some of the world’s most pressing problems. 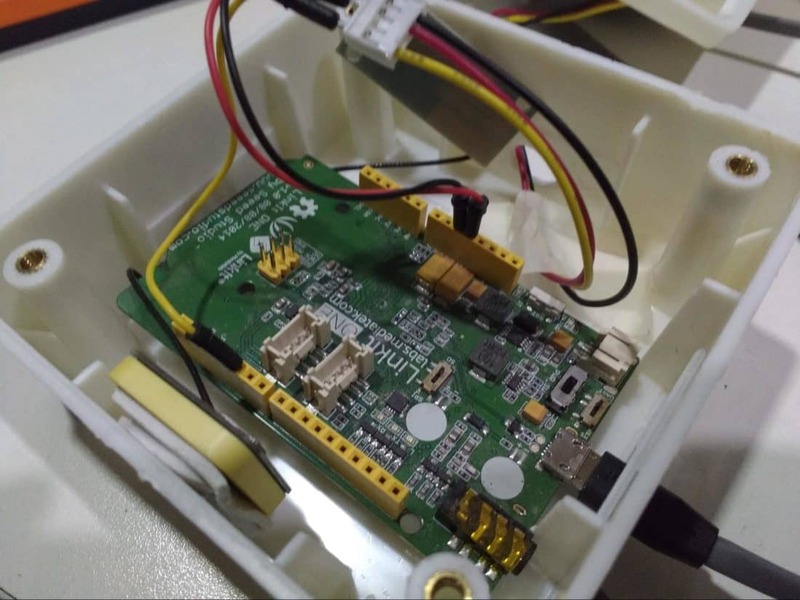 By further developing and refining these low-cost air pollution sensors, we hope to establish a sustainable model for collecting relevant and detailed public health data in hard-to-reach areas. IoT technology can be utilized for some very important causes such as energy conservation, identity protection, urban monitoring, and…making coffee.